September | 2014 | Am I Doing This Right? I’ve heard many people – successful writers among them – say that facing that blank page never gets any easier. I’d definitely say some days are easier than others, but a blank page is never a particularly inviting sight. And yet I managed to write an entire novel (two, actually, but only one that’s readable). I should feel like I can do anything, write anything. After all, getting to 65,000 words took facing down and filling up a lot of blank pages. But now I have to write the Query Letter. Just one measly page. So where are all of the query letter writing workshops and boot camps and support groups? Where’s the How to Write a Killer Query Letter for Dummies shelf at my Barnes & Noble? Because, let me tell you, this blank page ain’t writing itself. While my first book (middle grade urban fantasy) is out with my Beta Readers, I’ve begun outlining the sequel. In this book our hero is wished back to early 16th century Ireland and finds herself in the middle of a traditional fairy tale. And while I love this idea on the surface, actually finding the right story and making it fit the time and place as been rather difficult. So I’ve been scouring books on traditional Irish folk tales and fairy tales, as well as reading every book I can find on what life was like in Ireland 500 years ago, and I think I endearthed a real gem. I think you will find this story charmingly familiar. Please tell me in the comments what you think, and if you think contemporary pre-teens will get it. “What robe will you wear?” asked the henwife. 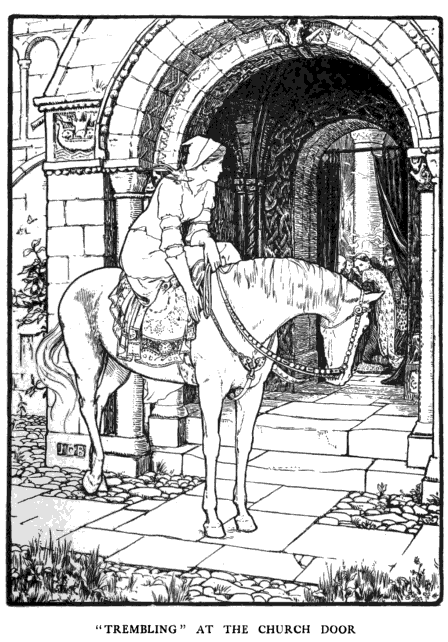 When Trembling sat in the saddle and was going away, the henwife ordered her strictly not to go inside the door of the church, but to rush away as soon as the people rose at the end of Mass, and hurry home on the mare before any man could stop her. “What news have you to-day?” asked the henwife of the two sisters when they came from the church. The two sisters gave neither rest nor peace till they got dresses as nearly like the strange lady’s robes as they could find. Of course they were not so good; for the like of those robes could not be found in Erin. “I would go if I had a new dress to wear. “I’ll get you any dress you ask for. What dress would you like?” asked the henwife. “A dress red as a rose from the waist down, and white as snow from the waist up; a cape of green on my shoulders; and a hat on my head with a red, a white, and a green feather in it; and shoes for my feet with the toes red, the middle white, and the backs and heels green. The henwife put on the cloak of darkness, wished for all these things, and had them. When Trembling was dressed, the henwife put the honey-bird on her right shoulder and the honey-finger on her left, and, placing the hat on her head, clipped a few hairs from one lock and a few from another with her scissors, and that moment the most beautiful golden hair was flowing down over the girl’s shoulders. Then the henwife asked what kind of a mare she would ride. She said white, with blue and gold-coloured diamond-shaped spots all over her body, on her back a saddle of gold, and on her head a golden bridle. The church was more crowded than ever before, and there were three times as many outside. There was such a throng before the church that Trembling could only come inside the gate. As soon as the people were rising at the end of Mass, the lady slipped out through the gate, was in the golden saddle in an instant, and sweeping away ahead of the wind. But if she was, the prince of Emania was at her side, and, seizing her by the foot, he ran with the mare for thirty perches, and never let go of the beautiful lady till the shoe was pulled from her foot, and he was left behind with it in his hand. She came home as fast as the mare could carry her, and was thinking all the time that the henwife would kill her for losing the shoe. “Oh! I’ve lost one of the shoes off my feet,” said Trembling. Then all the kings’ sons were uneasy, and anxious to know who was she that lost the shoe; and they began to travel all over Erin to know could they find her. The prince of Emania and all the others went in a great company together, and made the round of Erin; they went everywhere,—north, south, east, and west. They visited every place where a woman was to be found, and left not a house in the kingdom they did not search, to know could they find the woman the shoe would fit, not caring whether she was rich or poor, of high or low degree. “Is there any other young woman in the house?” asked the prince. “Oh! we have her for nothing but to put out the ashes,” said the sisters. But the prince and the others wouldn’t leave the house till they had seen her; so the two sisters had to open the door. When Trembling came out, the shoe was given to her, and it fitted exactly. Then she went to the henwife’s house. The old woman put on the cloak of darkness, got everything for her she had the first Sunday at church, and put her on the white-mare in the same fashion. Then Trembling rode along the highway to the front of the house. A third time she asked for a short absence and soon came back on the third mare and in the third dress. All who saw her the third time said: “That is the lady we saw at church.” Every man was satisfied, and knew that she was the woman. “I’m here before you, ready for combat,” answered the prince. Then the son of the king of Lochim stepped forth. The struggle began, and a terrible struggle it was. They fought for nine hours; and then the son of the king of Lochim stopped, gave up his claim, and left the field. Next day the son of the king of Spain fought six hours, and yielded his claim. On the third day the son of the king of Nyerfói fought eight hours, and stopped. The fourth day the son of the king of Greece fought six hours, and stopped. On the fifth day no more strange princes wanted to fight; and all the sons of kings in Erin said they would not fight with a man of their own land, that the strangers had had their chance, and, as no others came to claim the woman, she belonged of right to the son of the king of Emania. The marriage-day was fixed, and the invitations were sent out. The wedding lasted for a year and a day. When the wedding was over, the king’s son brought home the bride, and when the time came a son was born. The young woman sent for her eldest sister, Fair, to be with her and care for her. One day, when Trembling was well, and when her husband was away hunting, the two sisters went out to walk; and when they came to the seaside, the eldest pushed the youngest sister in. A great whale came and swallowed her. “How did you forget?” asked she. Reprinted from Celtic Fairy Tales, by Joseph Jacobs, (1892). So my manuscript for The Last Princess is out of my hands and in the hands of about a dozen Beta Readers, ranging from brave volunteers (who signed up here) to friends and family (who had the manuscript foisted upon them). Before sending it out, I had polished the manuscript about as much as I could stand without beginning to dislike my own story. Every chapter had already been critiqued by a team of loyal readers, so by themselves I was pretty happy with them; I just needed to plug a few holes and smooth a few wrinkles, etc. So there is nothing I can do but wait until I start getting comments back from my Betas. Oh, sure – I could work on the sequel (I am) or get started on my pitch and my query letter (I will). I could even use this “down” time to catch up on my recreational reading; Kim Harrison’s last Hollows book was just released yesterday and I was able to download my pre-ordered e-book version. My checkbook needs balancing, too. There are any number of things I could be doing with the small fragments of free time I have, now. But I think the best use of my time has got to be practicing my waiting skills. Because soon enough I will be sending out query letters to literary agents, and that’s when the serious, deep, nail-biting, truly lonely waiting will begin in earnest. Punctuated, of course, by the occasional rejection letter. 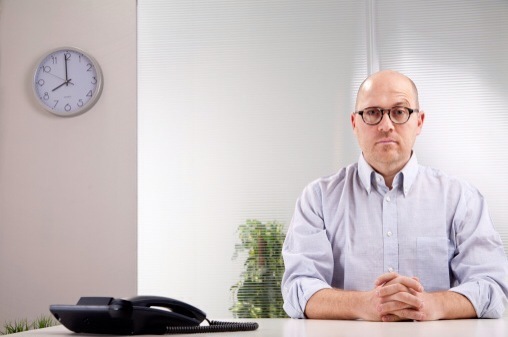 It’s not uncommon for an agency to take six months to respond to a query by a writer with a book. I’m not trained for this kind of months-long waiting. The measly one-week turnaround time for critiques on each of my chapters was painful enough. But I did develop a few callouses and those waiting muscles got a bit stronger. But, really, this is like counting walking the dog every day for two weeks as preparation for the New York City Marathon. Of course by then I expect I’ll be working in earnest on the sequel, The Last Faerie Godmother.. I’ll have to be, because I’m planning to pitch this as a series, and when you do that agents have this odd fetish about seeing evidence that you are serious. So you can expect to be hearing all about that in the months that come. But ideally you’ll be hearing me announce an acceptance by an agent in the coming months. In the mean time, any practical advice you can offer me to assist with my wait training will be most appreciated. Anyone Here Remember 15th Century Ireland? Yeah, me either. And that’s a problem, because in the sequel to The Last Princess, I’m sending Cat Brökkenwier back there. 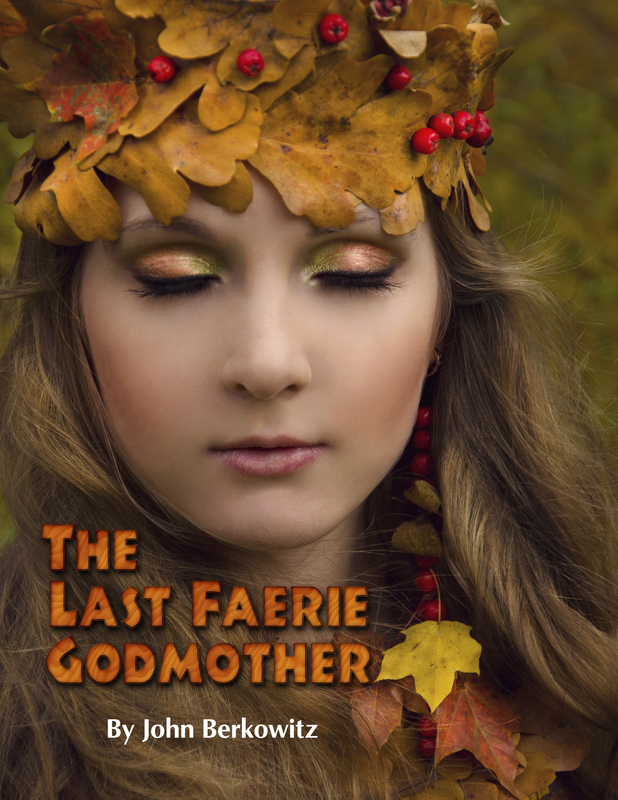 Book Two of the series* is tentatively called The Last Faerie Godmother. The premise I’m building on is that a botched wish sends Cat back 500 years to the rein of the previous princess of the fae, where Cat must take her place. In this time, the fae are still mostly pure, although their numbers are dwindling, and so much of the story will take place in the wilds where the fae dwell. But I also anticipate that there will be a great deal of interaction and mixing with the local humans, including kings and sheep farmers, and so forth. I’d like to incorporate a traditional Irish fairy tale into the plot, and have Cat get mixed up in that, as well. What I’m missing is a feeling for what life was like in the late 1400s and early 1500 in Ireland. How did people live? What were their homes like? Are we talking Brave, or something else entirely? What was your daily routine if you weren’t living in the king’s castle? What did people believe? I’ve been reading Fairy and Folk Tales of the Irish Peasantry, and it has been quite instructive, but it gives very little detail about daily life and what things looked like and so forth. If you can recommend some resources I would be most grateful. I also need to understand the politics and economy and so forth. I understand that Henry the VIII declared himself ruler around 1530, and everything changed. Before that I understand there were lots of local kings who were more like clan chiefs (again, think of Brave), and that’s the period I’m looking for. I will be sending out copies of The Last Princess to those of you who have signed up to be Beta Readers later this week. So if you’re interested there’s still time to sign up! In the meantime, all of your Irish historians out there, your comments and suggestions are most welcome! ** There’s an Irish version of Cinderalla called Fair, Brown and Trembling, which could very well be the original version from which all later versions evolved.